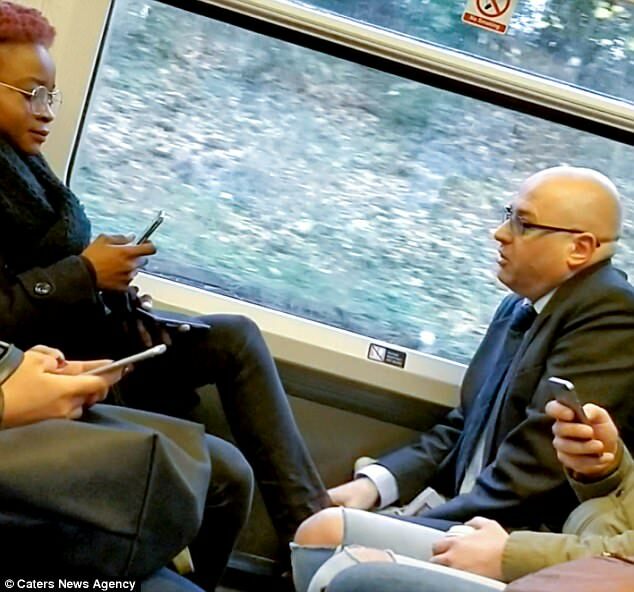 Dartford Rail Travellers Association has shared the video of a Nigerian lady who put her feet on the seat,although it’s not clear if this is what started it to begin with, as the video begins with her calling the man an ‘idiot’. .
She says: ‘Touch me again and I’ll f***ing slap you, that’s why you’re not married!’ He replies by waving his wedding ring in her face, and says his wife is a ‘lovely Yoruba lady’. The woman says: ‘Your wife is from where I’m from – you know we have the same accent. Trust me, she doesn’t love you, she is using your money, you idiot. Touch me again and I will slap you, the same way your wife treats you at home.’ . The man disputes this and says his wife is ‘not like you’. 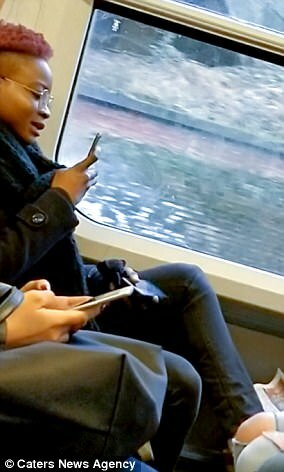 She then puts her foot up on the seat between his legs. 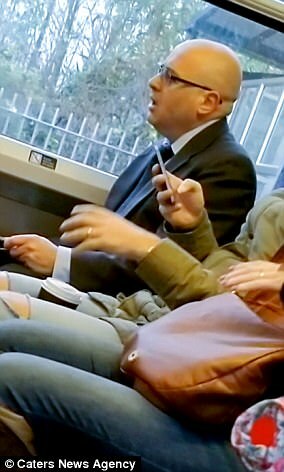 ‘I’m literally grabbing you by your balls, do you understand this?’ she says. .
‘You know you can’t do sh*t.’ The man laughs and says ‘You’re making yourself look like a complete fool. Just because you can’t respect other people’s property. 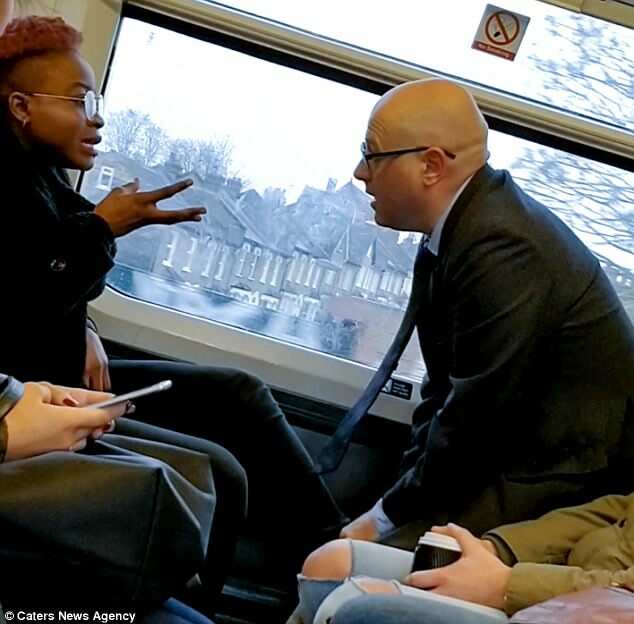 Take your shoes off my seat.’ She then calls him racist and and an idiot again….. Swipe left to watch the concluding part ..